Saudi Crown Prince Mohamed bin Salman said Wednesday that the ongoing furor over the murder of Saudi journalist Jamal Khashoggi would not “drive a wedge” between his country and Turkey. “I want to send them a message: They will not be able to do that [i.e., harm Saudi-Turkish relations] as long as there is a king called King Salman bin Abdulaziz and a crown prince called Mohamed bin Salman in Saudi Arabia and a president in Turkey named [Recep Tayyip] Erdogan,” the crown prince declared. Bin Salman's remarks, which he made on the second day of a high-profile investment conference now underway in Riyadh, came one day after Erdogan revealed details of Khashoggi’s Oct. 2 murder in the Saudi Consulate in Istanbul. 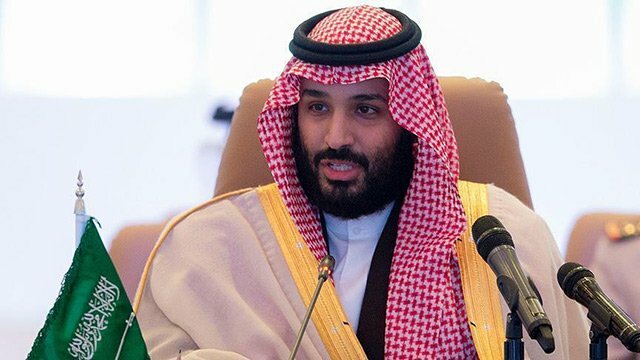 The crown prince went on to assert that both countries are cooperating with one another in order to learn the truth behind the journalist’s death. The Turkish and Saudi governments, he added, are both keen to see those responsible for the crime held to account. On Wednesday, the Turkish president and the Saudi crown prince discussed, in a phone call made at the latter's request, joint efforts to uncover all aspects of the murder of Khashoggi, according to a Turkish presidential source. Erdogan and Bin Salman discussed steps to be taken on the matter. A columnist for The Washington Post, Khashoggi was last seen on Oct. 2 when he entered the Saudi Consulate in Istanbul. After days of denying any knowledge of his whereabouts, Saudi officials last week admitted that Khashoggi had died in a "brawl" at the consulate. Since then, King Salman has sacked the deputy head of the Saudi intelligence agency, along with a top aide, while also ordering the arrest of 18 suspects in the case. Amid a global outcry, world leaders have called on the Saudi government to provide more concrete answers on his death.